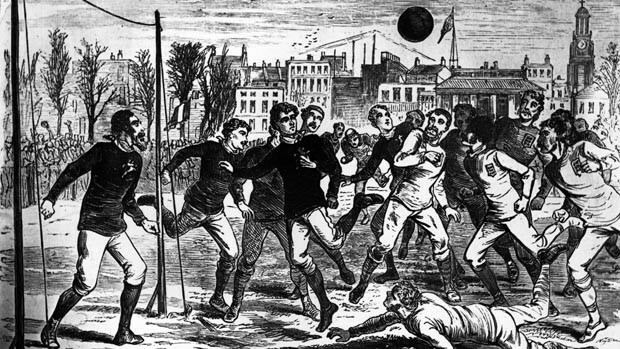 On 30 November 1872, England and Scotland played the first ever official international, which ended in a scoreless draw. 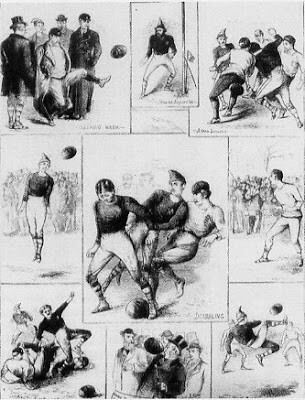 The two countries had actually played five earlier matches, with England winning three of those and the other two ending in draws, but FIFA does not consider them full internationals, as the Scottish sides were mainly limited to players based in the area surrounding London, where the matches were played. 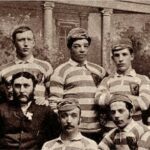 In October 1872, the FA decided to play a match against Scotland in Glasgow “to further the interests of the Association in Scotland.” There was no Scottish FA at the time, so Scotland’s oldest club, Queen’s Park FC, stood in for the national team, with all players coming from that club. Nine different clubs were represented in the English side, with Oxford University having the most players at three. Played at Hamilton Crescent in Partick, the match started after a 20-minute delay for fog. Four thousand people were there to watch, paying a ticket price of one shilling each. 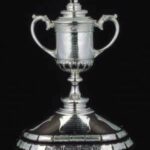 Scotland had the best chances of the day, with two shots hitting the crossbar (actually, a strip of tape hung between the top of the posts), but neither side managed to find he back of the net and the match ended 0–0.